Alice Proujansky: Birth Culture takes a look at birth around the world (PHOTOS). 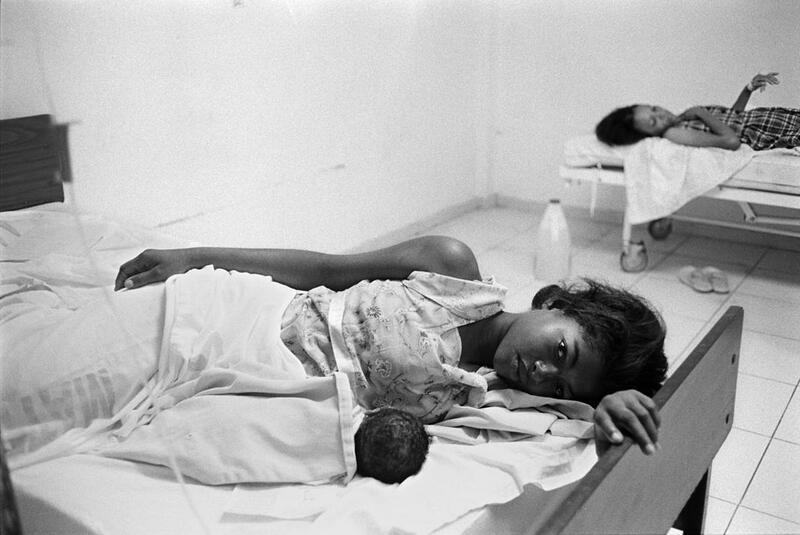 A patient with her newborn baby at the Juan Pablo Pina public hospital in San Cristóbal, Dominican Republic. Alice Proujansky said she felt prepared before giving birth to her son in 2012. By then, she had already photographed nearly 15 births in the United States and around the world and said she felt ready for the transformative experience. Although she didn’t set out to become a natal photographer, Proujansky is interested in working on projects about women and said for one reason or another, she finds herself photographing in the delivery room. Traditional Mayan midwife Elsa Gonzalez Ayala shows CASA Midwifery School students how to perform a traditional Mayan massage used to shrink a woman’s uterus and reduce post-partum bleeding. Laura Mejia, 38, labors at the Birth Place, assisted by her husband, Brandon Smith, and doula, Stephanie Abdullah-Simmons. All patients at this birth center in Winter Garden, Florida, deliver with midwives unless a complication arises, in which case they are transferred to a hospital. Midwife Dorothy Igoro Chinyere examines a patient immediately following delivery at the Doctors Without Borders–run Aiyetoro Health Centre in Lagos, Nigeria. Much like death, the subject of birth is often taboo, a fact of life that is rarely explored beyond established procedure. Proujansky has been fascinated by the various ways in which each culture she has explored approaches birth but said that in the United States, gender and generation often dominate the conversation. She also feels it ties into the idea of how we view motherhood. A visitor holds Habibat Adeboye’s baby shortly after delivery at the Doctors Without Borders–run Aiyetoro Health Centre in Lagos, Nigeria. The clinic offers free care to women who live in a slum and have poor access to health care. At the time, federal doctors were on strike. A nurse inserts Megan Tudryn’s IV in preparation for an epidural at the Baystate Franklin Medical Center in Greenfield, Massachusetts. The staff encourages women to make their own decisions about pain management during labor. With few exceptions, midwifery forms the basis of the hospital’s obstetric care. 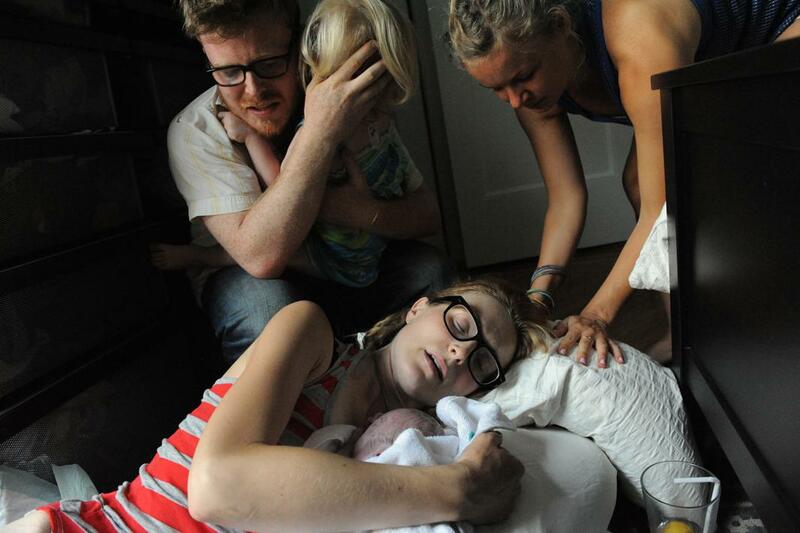 Jen Carnig holds her son Wiley James Carnig Lavoie immediately after his birth at home as her husband, Dan Lavoie, daughter, Olive Carnig-Lavoie, and best friend, Lisa Johnson, look on. Since women of previous generations often delivered in their homes, birth was typically a shared experience. Today, women usually learn few details about the birth process from their mothers and grandmothers and instead only begin to understand the process once their friends begin having babies. As a photographer, Proujansky said she has the freedom to be nosy and curious and to ask to be a witness to such an intimate moment. Her goal for the project is to create images that are both literal documents about birth but also open up a larger conversation about how to improve the process since she points out on her website that worldwide there were 287,000 maternal deaths in 2010 and that the United States has the highest first-day infant mortality rate of any industrialized nation. “Birth Culture” will be on view at United Photo Industries in Brooklyn, New York, from Nov. 6 through 28. There will be an opening reception on Nov. 6. Patients’ relatives wait outside the maternity ward at the Juan Pablo Pina public hospital in San Cristóbal, Dominican Republic. 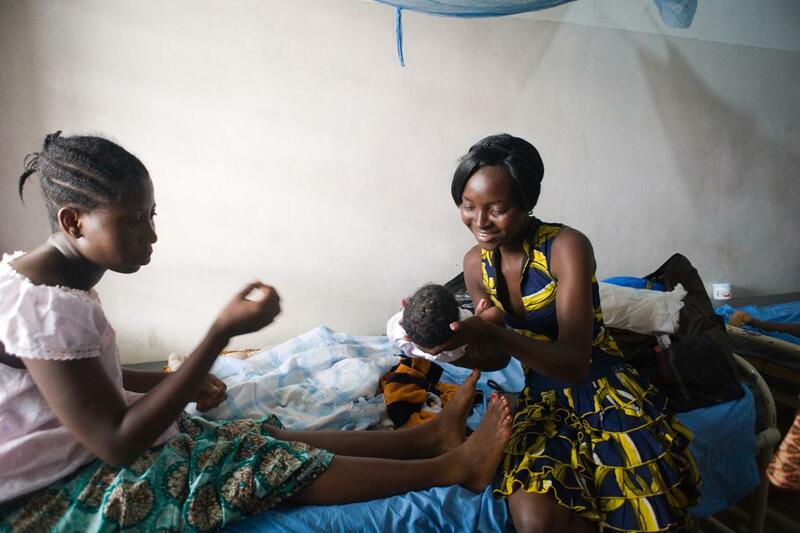 Female relatives are allowed to enter the ward after delivery, when they care for their family members, but men are not allowed to enter.